Over the past few weeks I have received emails from all the presidents of my alma maters regarding the respective university’s financial situation in this rapidly deteriorating economy. The emails all had the exact same outline. The serious tone was set right away. Followed by a reassurance of “don’t worry, the university has a good handle on the situation”. That the financial trustees have invested wisely and haven’t done as badly as most other colleges. Then by another serious tone that the university endowment will inevitably be smaller at the end of the year, and to what extent it is not clear yet. However, all universities have some envy with Harvard University’s financial position. Check out the endowment figures on Wikipedia. They have the largest endowment in the world, by far. In 2007 they had a $34.635 billion endowment, which completely dwarfs the second largest endowment, Yale University, $22.53 billion. Even a similar university like Princeton University has only an endowment of $15.787 billion (although Princeton does have the highest endowment per student figure, whereas, Harvard only ranks 5th in this category). The financial manager of Harvard’s endowment has a highly regarded position and has more responsibilities than most large investment firms. I came across an article on Slate yesterday regarding the impact of the economy on Harvard’s endowment in 2008. Although it’s still unclear, and since Harvard is a private institution does not have to abide by the SEC regulations for the public disclosure of financial statements, there are many clues to its performance this year. In simple terms, it’s not looking good. But the question to ask is, why? With an endowment so large, so powerful and so stable, wouldn’t it actually be pretty easy to manage? Simply invest in the most stable and long-term entities out there? Why risk the entire university on risky investments? This seems partly true in the case with Harvard. As more comes out, it will be interesting to see what the final endowment figure is for Harvard (and for all other prestigious universities, for that matter) at the end of 2008. 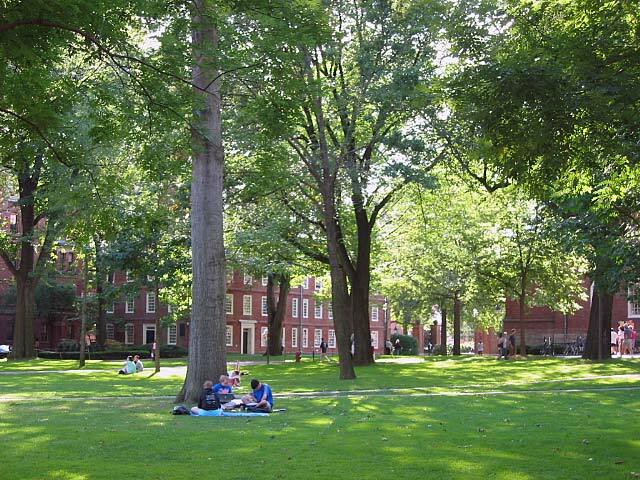 UPDATE 2008.12.03 – Preliminary figures released today showed that Harvard’s endowment lost $8 billion in the four months since the end of the last fiscal year (June 30)!! That’s a 22% drop from it’s $36.9 billion figure. To make matters worse, they are predicting a 30% drop for fiscal year 2009. Wow… An endowment should not drop that precipitously; too many risky investments.